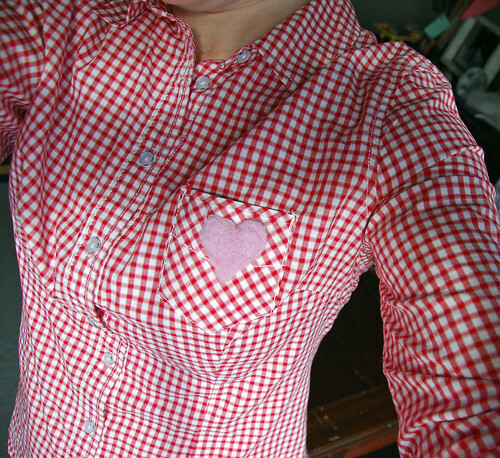 Happy Valentines Day, dear blog! Do you see the band of hearts? 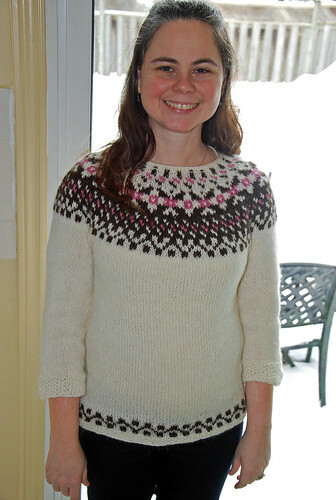 It was an unplanned surprise on the needles! I was simply re-using this Faeorese motif again but flipping from a white background to the brown. 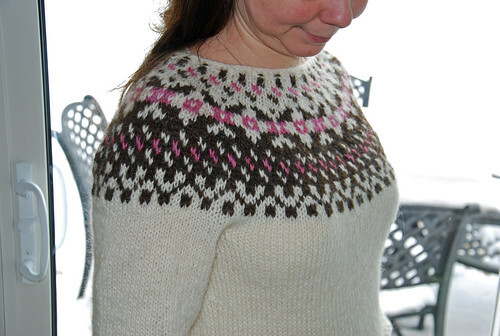 It is charted on p. 118 of Traditional Scandinavian Knitting, and is listed simply as, “border from man’s cuff (Faeroe). 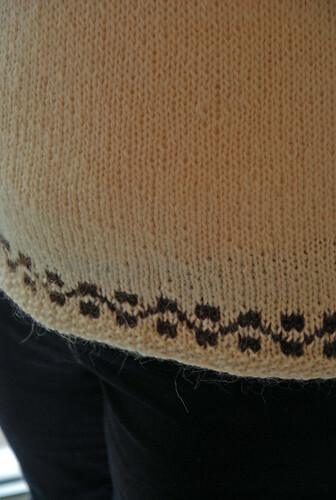 The sweater body is the 34” chest from the free Vormorgun vest pattern. I am usually no fan of yarn company patterns but this one was clearly written, and correct. Miss McGregor (as the Foreword so names her) has helped me into other books on stranded knitting, and so the interest grows. Will you join me in heeding her call for us knitters to return to a “finer and more craftsmanlike approach?” It’s been fun so far! Yesterday, I tweeted my thanks to Sasha and Jillian for the SpinDoctor podcast. In the early, terribly shy days of my learning to spin, I found and lurked within the amazing catalogue of shows that Sasha produced. Jillian joined seamlessly, and it never wavered. Much later, I joined the podcast’s Ravelry group. SpinDoctor gave me markers, reviews that I trust implicitly, laughter in my neck of the woods. The straight-as-an-arrow content meant a great deal to me, and so did the warm delivery. Most of all it is the only podcast that actually made me a better spinner. Jamaicans say this instead of goodbye: Walk GOOD! 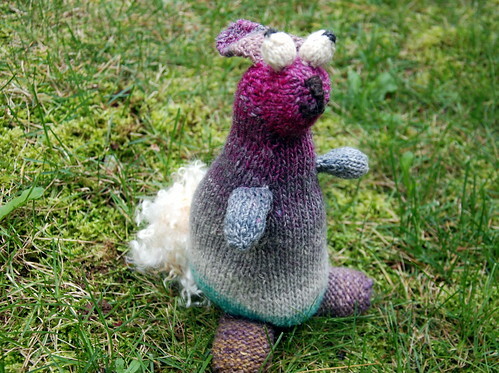 Yes, I made a Rabbity with a kid mohair tail. For this occasion! Categories: Finished & in the wide world, Getting the knack | Tags: Books, Fair Isle, needle felting, Spinning, sweater, yoke | Permalink.